All about Ransomware and Protection Tips : How to Prevent Ransomware Attacks? As a business owner in today’s world, you are not safe from ransomware attacks. Learn how you can prevent a cyber-attack on the IT infrastructure of your business and keep data protected. Remember precaution is always better than giving ransom money to cybercriminals. According to a 2017 Annual Threat Report by SonicWall, ransomware attacks have exploded in 2016. SonicWall’s Global Response Intelligence Grid saw more than 628 million ransomware attempts last year, up from the 3.8 million attempts recorded in 2015, and 3.2 million recorded in 2014. A 19% increase year-over-year is alarming, but a 165 fold increase over the course of a single year is a call for action. Last week’s global ransomware attack #wannacry successfully immobilized over 200,000 computers across 40 countries, including 70,000 machines and medical equipment across NHS hospitals in England and Scotland. The attack also caused large corporations to halt operations, such as the UK’s Nissan Manufacturing Plant- one of the busiest in the country, and FedEx, which later ordered all North American facilities to take any non-essential Windows devices off their networks. The attack was thwarted late Friday afternoon by a 22 year old in the UK, who exploited a flaw in the malware by registering a $10 domain name. It seems the malware was calling out to a specific unowned domain to carry out the attacks. Now at the start of a new work week, security experts are expecting #wannacry to make a comeback- this time it will be missing its kill switch. Below you will find a quick summary of the different types of ransomeware and how you should protect your business from future risk. Ransomware can affect your devices in different ways, usually broken down into two sub-types, encrypting and non-encrypting. Encrypts your documents, pictures, videos and every other type of file format you have on your computer. You will need to pay a cybercriminal for a key to decrypt the system. Examples of encrypting ransomware include CryptoLocker and CryptoWall. Locks your screen and prohibits you from accessing the system. You will only be able to access your computer when you pay the ransom money. WinLock is an example of a non-encrypting ransomware. There are also a few non-encrypting ransomware trojans that display fake messages from law enforcement agencies to extract money from victims. Another type of ransomware is MBR (Master Boot Record) Ransomware. It strikes the MBR section of the computer’s hard drive and restricts it from booting the operating system. Is your Business At Risk? Yes it is. Last week’s #wannacry attack is a great example why no one is safe from ransomware. If your business has a computer and access to the internet, your business is at risk. • Unlike individuals, business owners are assumed to have the resources to pay large amounts of money in short time periods. • Many business owners do not report cyber-attacks because they believe that it will damage their reputation and negatively impact their customer base. • Cybercriminals know business owners will look for the quickest solution if their business operations are disrupted. In most cases this means paying the ransom. • New business policies such as BYOD (Bring Your Own Device) or Remote Access File-Sharing provide flexibility to employees. But, they also offer an easy platform for cybercriminals to attack your business. • Business owners often ignore the security of IT infrastructure which makes the computers prone to vulnerabilities. • Usually, small business owners manage the IT infrastructure on their own without the help of experienced IT professionals. This leaves businesses defenseless against multiple data issues including ransomware. How does a Ransomware affect a Computer? • The most common method involves using spam emails with malicious links. • Vulnerable software and installation of pirated/outdated software. • If you visit an untrusted website or a legitimate website with malicious code, it can spread ransomware. • If your PC is on a ransomware-affected network, it can give cybercriminals access to your data. • Keep the operating system updated. Avoid using pirated versions of operating systems. Update your apps regularly. Remember that patches save you from a large number of cyber-attacks. • Install a robust anti-virus program and make sure that your employees update it regularly. • Backup your data to an external hard-drive or any other backup appliance. Cloud-based ransomware attacks have made it necessary to use a physical layer as part of your back-up strategy. 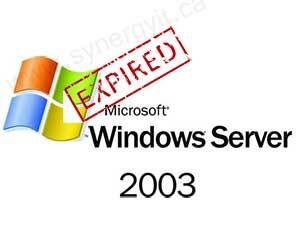 Also, do not forget to back up your websites and website databases. • Do not login to untrusted websites and train employees to avoid trusting unknown websites. • Provide limited access to certain users. If a user’s PC is infected by ransomware, cybercriminals will only be able to access areas the user is allowed to. This can help mitigate risks to other devices in a different security layer. • Set up strong SPAM filters to block attachments such as .exe, .zip, .rar, .scr, etc. to restrict access to SPAM messages with ransomware trojans. • Set up strong firewalls to block suspicious IP addresses from Russia and China. A majority of ransomware attacks originate from these two geographical locations. • Disable macros on your entire network. Use of macros for malware attack is a very common phenomenon. You can use the new blocking feature in Office 2016 and disable it via a Group Policy or on an individual basis. Cybercriminals are inventing new ways of attacking your business every day. It can be taxing to try and keep up with the latest security updates and best practices. Thats why many business leaders choose to hire managed IT professionals to oversee and protect their IT infrastructure. Choose a reputable company to manage your IT environments that can ensure accountability and has a proactive service model. This way, decision makers can focus their efforts towards new business goals and drive future growth! If you have any further question about ransomware or need technical support, Synergy IT Solutions is only a call away. Call toll-free at 1-(866)-966-8311 to learn more about how Synergy can protect your business from ransomware attacks and many other forms of cyber-attacks. Asking questions are really fastidious thing if you are not understanding anything entirely, but this article presents nice understanding even. Nice post. I learn something new and challenging on websites I stumbleupon on a daily basis. It will always be exciting to read through articles from other authors and use something from their sites. Hi there, always i used to check web site posts here in the early hours in the dawn, for the reason that i love to gain knowledge of more and more. I just want to say I’m very new to blogs and absolutely savored this page. Likely I’m likely to bookmark your site . You amazingly come with beneficial article content. With thanks for sharing with us your web-site. Thanks so much for providing individuals with an extraordinarily brilliant opportunity to read in detail from here. It can be so ideal and as well , full of a great time for me and my office co-workers to visit your site particularly thrice in one week to read through the latest items you have. Of course, I’m just usually motivated considering the great inspiring ideas you serve. Some 1 ideas in this article are particularly the best we’ve ever had.